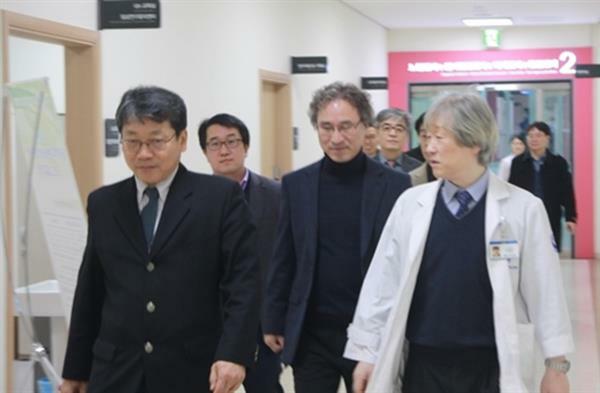 Researchers from the Korea Institute of Machinery & Materials (KIMM) and the Chungnam National University Hospital recently announced a new partnership through which they will seek to develop a 3D printing process for ear reconstruction, as well as a number of other projects. The collaboration was made official through a Memorandum of Understanding (MoU). Whenever bioprinting is mentioned in a casual setting, there always seems to be someone who exclaims something along the lines of, “I saw them 3D printing an ear!” Indeed, it seems we’ve all seen photos of lab-grown and printed ear structures (we wrote about one this week), and it makes sense why we would have: before being able to print a functioning organ, scientists should have mastered printing a more simple cartilage structure, like an ear. A joint project between KIMM and the Chungnam National University Hospital is the latest effort aimed at using additive manufacturing for the development of ear reconstruction. As the researchers have stated, they hope to create an artificial ear which is practically identical to a real one and that can be customized to the patient. In advancing their 3D printed ear research, the scientists plan to use cartilage cells grown by a team from the Chungnam National University Hospital, while the KIMM researchers will be tasked with developing a 3D bioprinting method specifically for ear reconstruction. The researchers say that as their work advances, they will test the 3D bioprinted ears on animals before any human transplantation will occur.